Nearly twenty years after the Berlin Wall fell and David Hasselhoff, dressed in a shining black leather jacket, sang his rousing anthem, “Looking for Freedom,” atop the wall’s graffiti-scrawled ruins, who would have thought that the Cold War might return from the depths of history’s crematorium? The mysterious poisoning of ex-KGB dissident Alexander Litvinenko with polonium-210 in 2006 seemed to augur the beginning of an “era of nuclear terrorism.” And Russia’s sudden invasion of Georgia in September of this year was a stark reminder of Soviet-style foreign policy. For those who remember the good old days when the world was neatly carved into “them” (the Commies) and “us” (the West), Russia’s saber-rattling at least provided the comfort of knowing who the enemy was. Unlike the war on terror, with its ambient fear and countless indiscernible enemies, Cold War Part II: The Revenge has unearthed many nostalgic supporters. Unless the V&A has a fortune-teller working on its curatorial team, it’s unlikely that any of this was foreseen when the exhibition Cold War Modern: Design 1945–70 was commissioned some years back. Still, it couldn’t be more apt, as old-school enmities resurface amid the peculiar redrawing of our geopolitical map in these peculiar times. “Would it not be better to compete in the relative merits of washing machines,” Vice President Nixon asked Nikita Khrushchev at the American National Exhibition in Moscow in 1959, “than in the strength of rockets?” A photograph shows the two of them, leaning against a mock-up of an all-mod-cons American kitchen, consumed by the gravitas of their topic. Life magazine pitted their respective wives against each other on the front cover: Pat Nixon was all smiles and svelteness; Nina Khrushchev, dour and sullen. 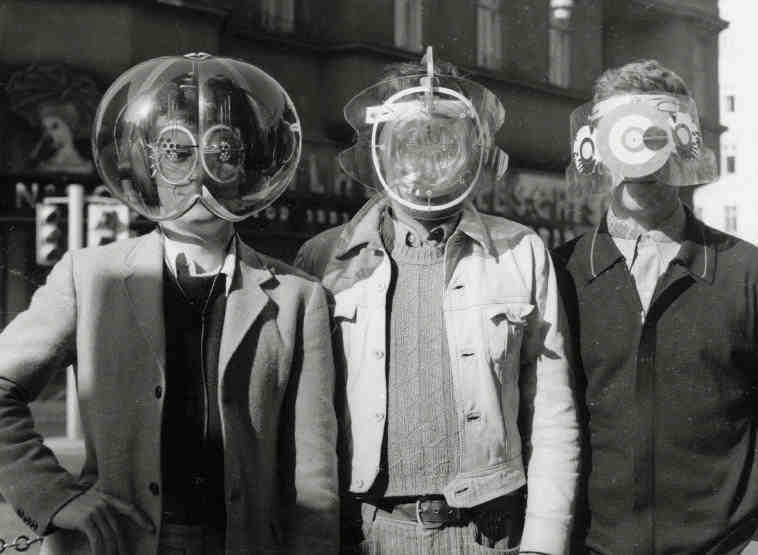 Two years after the Soviets suddenly launched Sputnik into space, leaving America trailing in the space race, conquering the domestic landscape became the next ideological frontier in the US. But somehow, quotidian life on Planet Capitalism often resembled visions of outer space. 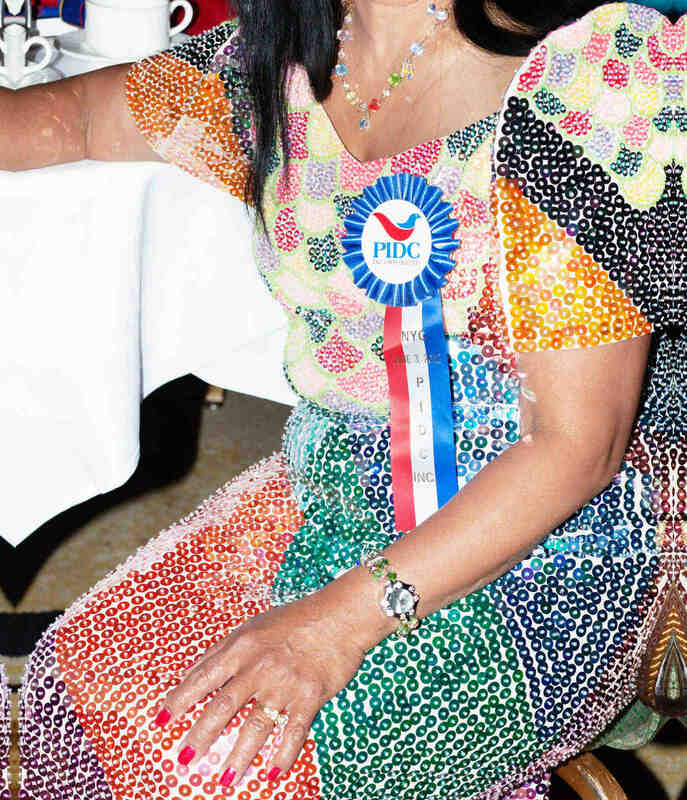 At Cold War Modern, there are a number of items drawn from the world of fashion, such as Steve Willats’s Mondrian-esque patchwork dress of zippable colored PVC panels, which wouldn’t have looked out of place on the Starship Enterprise. The Cold War had a scorching electrical heart and a lust for asymmetrical technological prowess. At the same American National Exhibition of 1959, Charles and Ray Eames presented a panoramic, seven-screen propaganda-lite film extolling the wondrous virtues of American life: freeways, sedans, suburbia, and skyscrapers. Two-and-a-half million Russians walked through the American National Exhibition and caught a glimpse of life on the other side of the Iron Curtain. World’s fairs and exhibitions like this were platforms for political one-upmanship expressed through the flashiest gizmos and the happiest WASP wives. Millions of dollars of US government money was channeled via the CIA into avant-garde and popular art forms, most infamously abstract expressionism. The McCarthy communist witch hunts personified conservative America’s deep fear of cultural infiltration. Further afield in 1953, the US helped to found the Ulm School of Design in Germany. Headed by Swiss architect and designer Max Bill, Ulm was the natural successor to the Bauhaus, itself famously closed down by Hitler in the 1930s for its “degenerate abstraction” founded on socialist principles. Ulm produced some of the most exacting and austere functional design work of the twentieth century, ironically the very opposite of expendable American consumer culture that was bankrolling Ulm’s purist, anti-market fantasies. Cold War Modern also tells us about the ways in which capitalism and communism fought over the moral ownership of the modern style. In the years between the October Revolution of 1917 and Stalin’s complete takeover in the mid-1930s, abstraction dominated Russian visual and decorative arts. 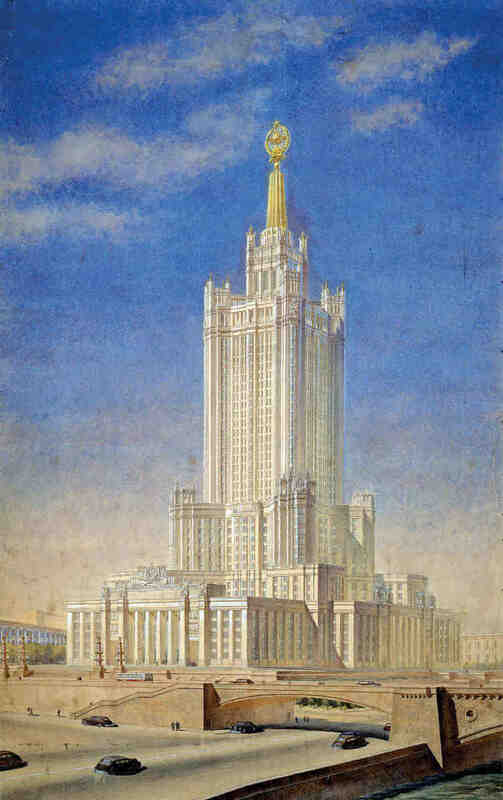 Stalin derided this work as “formalist,” and mandated Soviet social realism, a hearty, populist traditionalism that included gigantic neoclassical buildings and heroic figurative statues. At times, artists wandered from the leader’s dictates. Cold War Modern shows, for example, breakaway work from early 1950s Yugoslavia: cool, geometric monochrome paintings and sharp angular buildings. When Tito rejected remote control rule from Moscow in 1948, freedom from Stalin gave rise to a new vivid modernism in Yugoslavia — it looked a little like Ulm, but, allegedly, represented opposing politics. All these warped bifurcations of the “modern” and “traditional” aesthetic embody the inscrutable ambiguities of style. Capitalist free will or Stalinist secularism? You decide. By the early 1960s, though, Khrushchev’s “de-Stalinization” process gave rise to a new era of tension between the two superpowers. The Berlin Wall went up and divided Germany’s capital in 1961, demarcating those who were eligible to have and those who were not allowed to want. During the Cuban missile crisis the following year, Cold War brinkmanship was pushed to an unimaginable extreme. Nuclear annihilation hung in the air. Stanley Kubrick’s searing satire Dr. Strangelove had at its narrative center an incredible (and wholly fictitious) US War Room, designed by Ken Adam. His stunning sketches are included at the V&A. Ken Adam — like Braun’s Dieter Rahms in the real world — was one of the great “imagineers” of the Cold War unconscious, bringing us unforgettable set designs for James Bond’s most grotesque (fascist/communist/corporate?) 1960s villains. Twenty years later, War Games would revisit Dr. Strangelove’s apocalyptic doomsday scenario with a breathtaking war room for the Reagan era. Unfortunately this example (one of my favorites!) is beyond the mandate of Cold War Modern. But that omission aside, this exhibition is fantastically sprawling in its span of time and its scope of disciplines — art, architecture, education, fashion, advertising, propaganda, film, industrial and graphic design. Meticulously researched and sourced, Cold War Modern is an energizing, unapologetically dense journey through war by other cultural and consumerist means. Never have cups and saucers, record players, and TV sets borne such heavy social and ideological signification: everyday weapons of historical teleology. During those “cold” decades, the world was preparing to go in one of two diverging directions. Those who would design the future would by extension own the rights to it, too.